La Grande Médaille de la SF2M à l’effigie de Henry Louis LE CHATELIER est décernée, en principe tous les ans, comme couronnement de carrière, à une personnalité ayant accompli une œuvre jugée de première importance dans le domaine de la Métallurgie ou des Matériaux. (born 1955) studied Metallurgy at the Delft University of Technology in Delft (the Netherlands) and worked for a year in the Dutch Nuclear Research Centre on radiation damage in steels for fast-breeder reactors. He then studied at the Cavendish Laboratory in Cambridge (UK) where he obtained a PhD in Applied Physics in 1981 for his work on the supersonic fracture of IR transparent ceramics and quasi-static contact damage in experimental soda-lime glasses. Upon completion of his postdoc position on metallic glasses, in 1983 he joined the Corporate Research Lab of AkzoNobel to work on lyotropic liquid crystals, in particular the aramid fibres. His research focussed on their unique microstructure and the impact thereof on the mechanical properties. He also contributed substantially to new spinning technologies. 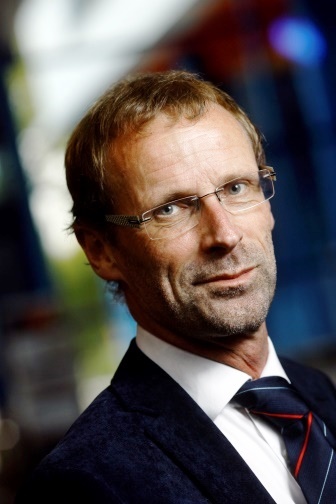 In 1992 he was appointed full professor at the TU Delft and established a very successful group on Microstructural Control in Metals in the materials science department. The focus of the work was on the formulation of physical models for the austenite-ferrite phase transformation for construction and automotive steel and proposed the so-called mixed mode concept to describe the effect of local atomic distributions near the moving interface boundary on the transformations kinetics. His group also explored the use of advanced physical characterisation techniques such as HT-TEM, synchrotron X ray diffraction and 3D Neutron depolarisation to measure the fine details of ferrous and other solid state phase transformations. In 2003 he joined the faculty of Aerospace Engineering at the TU Delft to establish his current group Novel Aerospace Materials. His new group is active in the field of high performance polymers, new metallic alloys based on complex solid state phase transformations, self-healing materials and piezo-electric composites, all having a potential application in future aircraft or spacecraft. From 2004-2017 he was the scientific director of the 20 MEuro Dutch program on self healing materials and the co-chairman of the German SPP program on the same topic. He has published over 500 journal publications and edited 3 books on self healing materials as well as 10 book chapters on other topics. He successfully supervised 52 PhD students and over a 100 MSc students. No less than 20 of his former students and collaborators now hold full or associate professorships in Europe and Asia. In 2017 he was awarded an honorary doctorate from Mons University for his work. In the same year he received a 1000 foreign talent grant from the Chinese Government and took up a part-time professorship at the Key Institute for Advanced Materials of Tsinghua University, Beijing China to work at the on next generation steels and some fundamental aspects of solid state phase transformations. He is extremely proud of the ‘Grande médaille’ which he received in 2018 from the French materials science society SF2M.